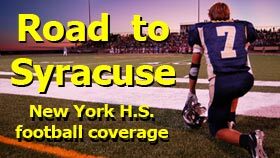 HONORABLE MENTION: Arlington 2-1, Auburn 2-1, Bellport 2-0, Binghamton 3-0, Carmel 2-1, Chaminade-CHSFL 2-1, Cicero-North Syracuse 2-1, Clarkstown South 2-1, Corning 3-0, DeWitt Clinton-PSAL 3-0, East Islip 1-1, East Meadow 2-0, Elmira 2-1, Erasmus Hall-PSAL 3-0, Half Hollow Hills West 2-0, Horace Greeley 2-1, Hyde Park Roosevelt 3-0, Liverpool 3-0, Mahopac 2-1, Mamaroneck 3-0, Massapequa 1-1, Middletown 2-1, Minisink Valley 2-1, Newburgh Free 2-1, New Utrecht-PSAL 3-0, Niagara Falls 2-1, Northport 2-0, North Rockland 2-1, Oceanside 1-1, Riverhead 2-0, Rochester McQuaid 2-1, Sachem North 1-1, Saratoga Springs 2-1, Shaker 2-1, Smithtown East 1-1, South Shore-PSAL 2-1, Syosset 1-1, Syracuse Corcoran 2-1, St. Francis-MMA 3-0, Tottenville-PSAL 2-1, Valley 2-1, Victor 2-1, Warwick Valley 3-0, Washingtonville 2-1, Webster Schroeder 2-1, Webster Thomas 2-1, West Genesee 2-1. HONORABLE MENTION: Beacon 3-0, Bethpage 1-1, Buffalo South Park 2-1, Fulton 2-1, John Glenn 2-0, William Grady-PSAL 2-1, Greece Athena 2-1, Greece Arcadia 2-1, Hendrick Hudson 2-1, Islip 2-0, Lafayette-PSAL 3-0, Lakeland 2-1, Lynbrook 1-1, Mineola 2-0, New Hartford 2-1, North Tonawanda 2-1, Nyack 2-1, Petrides-PSAL 2-1, Rochester Wilson 3-0, Roosevelt-L.I. 1-1, Scotia-Glenville 2-1, Shoreham-Wading River 2-0, Sleepy Hollow 2-1, Tappan Zee 1-1, Wallkill 2-1, Walter Panas 2-1, Wantagh 1-1, West Seneca East 3-0.